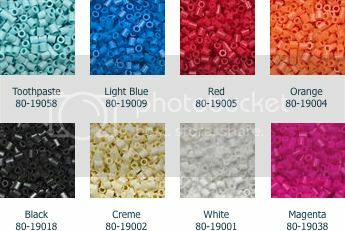 Fuse bead brands include Perler, Hama, Nabbi, and Pyssla, though I'm just going to be using Perler brand colors in descriptions below. 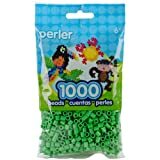 My daughter started using Perler beads in her Montessori days, about 7 years ago. She basically stuck to the patterns that came with various bead kits, or just filled in every spot of shaped peg boards to her liking. The older you get the more elaborate pieces you can create. They aren't just for little kids! 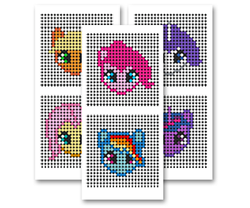 I've seen some amazing MLP FiM creations with Perler beads. Magnets, wall decorations, coasters, keychains, bracelets, necklaces, headbands, barrettes and even business card holders. People are creating faces, profiles, whole bodies, and cutie marks with their beads. Some are crazy good! I'll also link you to some of my favorite MLP FiM fuse bead creations online. Choose your pattern and beads. Make sure you have all the colors and amounts you need before you start. Arrange the beads on your peg board following the pattern. Tweezers are not required. We just use our fingers to place them. Place the ironing paper on top of the finished design and iron over it. You don't want it to melt too much, just enough to stick them all together. Remove the now fused together beads, turn it over, place the ironing paper back, and iron the other side. If you're adding a string to hang your bead creation it's best to add it before this last step so the hole doesn't completely close up. PDF includes Applejack and Fluttershy templates. Fun Colors or Neutral Colors Bead Trays. PDF includes Pinkie Pie and Rainbow Dash templates. Used for Rainbow Dash's eyes. PDF includes Rarity and Twilight Sparkle templates. Used for Rarity's eyes and Twilight Sparkle's mane. The 3 PDFs I've linked to above are for 8 1/2" x 11" paper. Two patterns on each sheet. When you print them full size you should be able to place them right under a clear or transparent pegboard and place the beads right on top. It might be a good idea to print out two copies, one for under the board and one to look at unobstructed. You could also use an opaque board and just count out how many beads of a certain color go in a row. You'll need to use a large peg board for these patterns. Rainbow Dash just barely fit's on a small square board, but the others won't. I just made her today, using a large square board, pics are below. I didn't have the creme or light blue beads, so I used yellow and a translucent blue in their place. After ironing I realized I got one of the blue beads wrong. The center under the yellow bead should have been dark. Sigh. Set of two large pegboards, ironing paper, and instructions. Pegboards are each 5.7" x 5.7" square, clear plastic. They can be attached to each other to make a single rectangular board. 4,000 beads. 16 colors. 250 beads per color. Includes Black, Bubblegum, Light Blue, Orange, Pastel Lavender, Plum, Purple, Raspberry, Red, Toothpaste, Turquoise, and White that you'll need for these My Little Pony patterns. Plus Cheddar, Dark Green, Kiwi Lime, and Yellow. Includes Black, Butterscotch, Creme, Grey, Light Pink, Tan, and White that you'll need for these My Little Pony patterns. Plus Blush, Brown, Dark Grey, Light Brown, Peach, Rust, and Sand.